He disappeared in the dead of winter: The brooks were frozen, the airports almost deserted, And snow disfigured the public statues; The mercury sank in the mouth of the dying day. What instruments we have agree The day of his death was a dark cold day. But for him it was his last afternoon as himself, An afternoon of nurses and rumours; The provinces of his body revolted, The squares of his mind were empty, Silence invaded the suburbs, The current of his feeling failed; he became his admirers. Now he is scattered among a hundred cities And wholly given over to unfamiliar affections, To find his happiness in another kind of wood And be punished under a foreign code of conscience. The words of a dead man Are modified in the guts of the living. But in the importance and noise of to-morrow When the brokers are roaring like beasts on the floor of the Bourse, And the poor have the sufferings to which they are fairly accustomed, And each in the cell of himself is almost convinced of his freedom, A few thousand will think of this day As one thinks of a day when one did something slightly unusual. What instruments we have agree The day of his death was a dark cold day. You were silly like us; your gift survived it all: The parish of rich women, physical decay, Yourself. Mad Ireland hurt you into poetry. Now Ireland has her madness and her weather still, For poetry makes nothing happen: it survives In the valley of its making where executives Would never want to tamper, flows on south From ranches of isolation and the busy griefs, Raw towns that we believe and die in; it survives, A way of happening, a mouth. In the deserts of the heart Let the healing fountain start, In the prison of his days Teach the free man how to praise. This entry was posted in Literature, National Poetry Month and tagged Derek Walcott, elegy, Joseph Brodsky, Nina Martyris, Seamus Heaney, T.S. Eliot, W.B. Yeats, W.H. 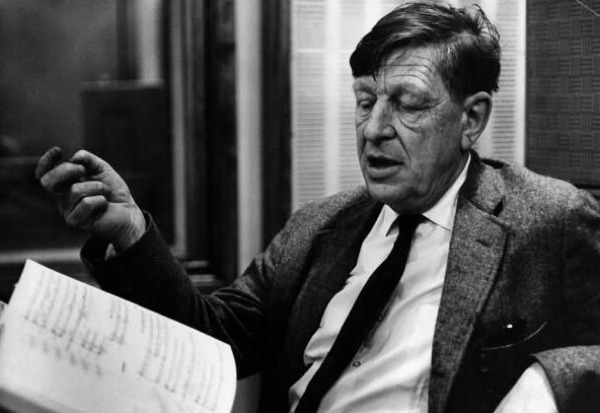 Auden. Bookmark the permalink.